Automobiles are a huge convenience in a person’s daily life, but they also have the potential to cause great harm. When an auto accident occurs, the effects can be devastating. Car accidents frequently cause serious injuries, including temporary and permanent disabilities. In the most severe cases, a car accident can even result in death. To minimize the risk of a car accident as much as possible, each driver should put care and attention into their driving. Unfortunately, many Americans engage in distracted driving habits. Rubbernecking is one form of distracted driving that takes a driver’s attention off the road and increases the risk of a car accident. Victims of auto accidents involving rubbernecking in the Scranton, PA area should work with the experienced attorneys at Foley Law Firm to protect their legal rights in the aftermath of a car crash. Rubbernecking is a common form of distracted driving. Distracted driving is any practice that takes a person’s eyes off the road, causes them to remove a hand (or two) from the steering wheel, or creates a mental distraction. Rubbernecking is a particularly dangerous form of distracted driving because it serves as both a visual and mental distraction. According to estimates by the federal government, nearly 20 percent of all reported traffic accidents are the result of distracted driving, and about 16 percent of traffic deaths are caused by distracted driving. When people engage in rubbernecking, they often fail to realize the risk they are creating for themselves and other drivers on the road. If a driver was asked to travel 120 yards down a busy street with their eyes closed, chances are they would not want to. However, if asked if they saw a risk in turning their heads to check out a traffic accident for just five seconds, many of those same drivers would not see it as a big problem. What most people don’t understand is that, while traveling on a highway or interstate, it takes just five seconds or less to travel 120 yards, which is more than the length of a football field. That means that rubbernecking (which usually distracts a driver for more than 5 seconds), leaves a car virtually unattended while it travels a minimum of 360 feet. In this sense, it is easy to understand just what a danger rubbernecking is. Since rubbernecking is classified as distracted driving, a driver can be held liable for any accident or damages that occur as a result of this dangerous practice. Those who have been injured in a car accident involving rubbernecking should work with the experienced attorneys at Foley Lar Firm to seek compensation for damages. Accident victims may be able to obtain financial damages for a comprehensive range of losses, including medical expenses, lost wages, and pain and suffering. Our attorneys will gather the evidence needed to prove liability, and fight to ensure our clients are awarded to the maximum extent of the law. 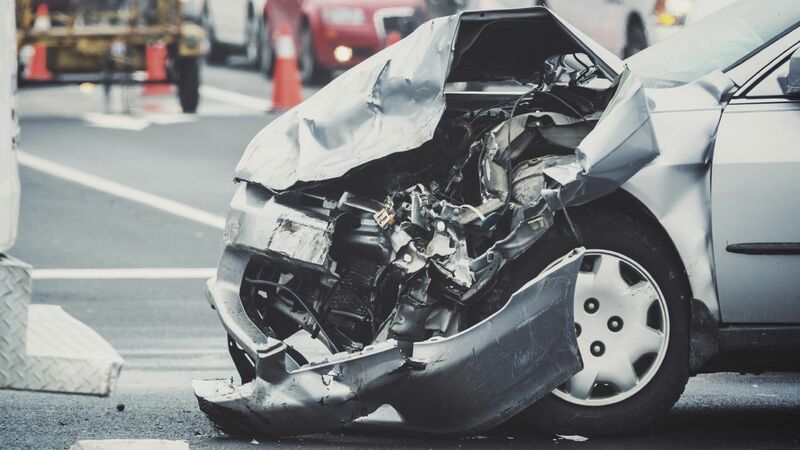 If you have been injured in an automobile accident and you believe another driver was at fault, you may be due financial compensation for any resulting losses. Contact us at your earliest convenience to discuss the details of your case and learn more about your legal rights.